Appearances: "The Five Doctors", "The Eight Doctors", "Neverland", "Zagreus", "The Next Life", "Engines of War", "The End of Time" and "Heaven Sent/Hell Bent". Doctors: Fought the Eighth Doctor, War Doctor, Tenth Doctor and the Twelfth Doctor; aided the First, Second, Third and Fifth Doctors in resolving a crisis; confronted holograms based on the Fifth, Sixth and Seventh Doctors when he tried to take control of the Eighth Doctor. Companions: Fought Charley Pollard, C'Rizz, Leela, K9, 2nd Romana, Cinder and Wilfred Mott; peripherally encountered Susan, Sarah Jane Smith, Turlough, Tegan Jovanka, The Brigadier and Donna Noble but did not address them directly (Met The Brigadier again, but on that occasion The Brigadier was a hologram created by the evil side of the TARDIS). History: According to Time Lord legend, Rassilon was one of the three Founders of Time Lord society in the distant past, along with Omega and the mysterious individual known only as 'the Other'. With the aid of Omega and the Other, Rassilon aided in the reformation of Time Lord society following the departure of the Pythia and the sterilisation of all Gallifrey, and also oversaw the creation of the Eye of Harmony in which Omega was lost (Later accounts speculate that Rassilon engineered Omega's death so he wouldn't have to share the glory). After the Other sacrificed himself to restore children to Gallifrey via the creation of the genetic looms, Rassilon led Gallifrey as its first President; officially, he was a wise, benevolent ruler, but some accounts paint him as a greedy despot who seized power after the deaths of Omega and the Other. Despite these contradictions, Rassilon's contributions to Gallifreyian society are immense; the Rassilon Imprimatur, the symbiotic nuclei that allows Time Lords to safely travel through Time in their TARDISes, is named after him, as are various Time Lord relics such as Sash of Rassilon, the Rod or Great Key of Rassilon, the Crown of Rassilon, the Coronet of Rassilon and the Harp of Rassilon, each relic having purposes beyond the purely ceremonial. Eventually, this belief posed trouble for The Doctor when his old teacher, Borusa, was driven insane by the pressures of ruling Gallifrey, and became convinced that only he was intelligent enough to rule the Time Lords. Seeking the path to true immortality, Borusa used the timescoop to bring together the only people who he believed capable of passing Rassilon's tests; the Fifth Doctor and his past four incarnations (Along with their companions Susan, Sarah Jane Smith, Tegan Jovanka, Turlough and The Brigadier), although the Fourth Doctor and Romana were stuck in a Time Eddy due to a flaw in the timescoop. 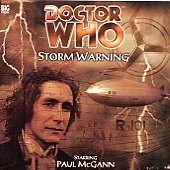 While the first three Doctors, accompanied by Tegan, The Brigadier and Sarah respectively, tackled the various perils of the Death Zone, Turlough and Susan were forced to stay behind in the TARDIS while the Fifth Doctor investigated events in the Gallifreyian High Council. Although the three Doctors made it to Rassilon's Tomb in the Dark Tower, where they were able to deactivate the Tower’s defences and bring the TARDIS to them, Borusa then arrived to claim his prize, having taken control of the Fifth Doctor's mind using the Coronet of Rassilon to emphasise his will. Although Borusa immobilised the companions, the First, Second and Third Doctors linked their minds and managed to free the Fifth from Borusa's control. Rassilon was awakened at this point and, on the advice of the First Doctor, concluded that Borusa was ‘worthy’ of immortality; thanks to a riddle on the tomb, the First had deduced that the whole immortality story had been a trap by Rassilon to get rid of potentially dangerous Time Lords. All Borusa got for his trouble was an eternity trapped as a living statue, Rassilon then freeing the Fourth Doctor from the Time Eddy before restoring the First, Second and Third to their proper places in Time. Although he made a brief appearance in "Blood Harvest" when a regenade Gallifreyian security council attempted to free Borusa - only for Borusa to reveal that he had abandoned his old ways and side with The Doctor in defeating the group before he departed to another plane of existence -, Rassilon eventually returned in "The Eight Doctors" when, from behind the scenes, Rassilon contacted the Eighth Doctor, currently missing his memories following a trap planted by The Master, and sent him through Time to aid his other selves, his lost memories being restored through telepathic contact with his past incarnations. 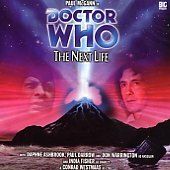 Thanks to the Eighth Doctor, the First acknowledged that he had to be better than the Time Lords he'd abandoned, the Second gave his freedom to save those involved in the War Games, the Third was able to fight off an attack from The Master, the Fourth was saved from death by Vampires, the Fifth survived an attack from an old foe armed with a timescoop, the Sixth's trial had an official enquiry, and the Seventh was saved from one of the Giant Spiders of Metebelis Three. The Doctor was honoured to serve Rassilon, and Rassilon, pleased with The Doctor's actions, watched him as he saved Sam Jones from drug dealers and allowed her to join him in his travels. Rassilon's return to The Doctor was by no means smooth; at the time, The Doctor, along with former companion Romana, was dealing with the consequences of his attempts to save the life of his new companion Charley Pollard, even though history as a whole recorded that she should have died on the airship R101 had The Doctor not intervened ("Storm Warning"). When the Time Lords finally caught up with the TARDIS, Romana explained to The Doctor that the paradox of Charley's survival had created a temporal rift that was unleashing an 'infection' of anti-time across the universe, focused on the points in history where The Doctor and Charley had travelled as Charley herself was essentially a living breach. According to legend, anti-time was the opposite of conventional time, created in opposition to Rassilon's creation of the Eye of Harmony to impose order on the fabric of history, with anti-time representing an ever-changing now that would be as destructive to causality as anti-matter was to matter, and the breach that had been created would lead to chaos as history broke down and the Time Lords became dictators trying to impose order. Zagreus sees you in your bed, and eats you when you're sleeping. Zagreus comes when time's ablaze, and history is weeping. Zagreus fears the hero heart. Zagreus seeks the final part; the reward that he is reaping. Zagreus wins and all is cost; the hero's hearts he's keeping. Zagreus sups time at a drip and life aside, he's sweeping. His time is the end of time, and his moment time's undoing. However, although the Zagreus aspect of The Doctor's personality manifested itself as a destructive maniac, the TARDIS's Zagreus side based itself around a far more human drive; the TARDIS's rage at The Doctor for being prepared to let it die to save Charley, even after all they'd been through together. With the corrupted TARDIS believing that The Doctor couldn't value it that highly if he was prepared to let the TARDIS die simply to save a foolish Earth girl who should never have survived in the first place, when the ship was contacted by Rassilon from within the Matrix, the TARDIS agreed to his offer to purge it of the anti-time energies if it would give him The Doctor to stop a race called 'the Divergence'. Developing a holographic avatar in the form of The Brigadier, chosen as a man important to The Doctor and Charley, the 'Zagreus' TARDIS explored three holographic simulations with Charley that showed occurrences of the Divergence in history: once at the dawn of Gallifreyian society, when two vampires learned of Rassilon's plans to prevent the evolution of a species more powerful than the Time Lords by trapping them in another timeline that would be sealed in a time loop; once on 1950s Earth, when a secret project (Called 'The Dionysus Project'; an interesting coincidence, since Dionysus was also known as Zagreus in Greek myth) created a tear in reality that briefly exposed the Divergence; and a final time at the very end of Creation, by a fairground owner who was frozen in suspended animation after a heart attack and was never woken up until the end. After seeing this, the TARDIS decided to aid Rassilon, expelling Charley into the Matrix along with three of the holograms in the simulation; the vampire Lord Tepesh, the Reverend Matthew Townsend, and Walton Winkle (AKA Uncle Winkie), the fairground owner, the only three people in all of history to have witnessed the 'Divergents' and recreated by the TARDIS databanks as the physical doubles of the Sixth Doctor, Fifth Doctor and Seventh Doctor respectively. At the same time, Romana and K9 had been taken into the Matrix by Leela, who had been contacted by Rassilon to lure Romana into the Matrix as Leela was the only mind on Gallifrey Rassilon could make contact with without setting off alarms. Rassilon needed Romana's Presidential ring to access his workshop - known as the Foundry - where he had contained the door into Anti-Time, intending to complete his plans with the Divergence now that Zagreus was available to act as his agent. The possessed Leela tried to kill Romana as Rassilon left, but Charley and the holograms were able to find them, free Leela from Rassilon's control, and track their foes to the Foundry. However, when Townsend translated an instruction in Old High Gallifreyian, coupled with preceding evidence such as Tepesh riding a Jabberwork like a vortisaur and Winkie repairing K9 without knowing exactly how he knew it, Romana, Leela and Charley realised that Townsend, Tepesh and Winkle weren't just The Doctor's physical doubles; somehow, in the process of their original creation, parts of The Doctor's psyche had been transferred into them, giving them aspects of his knowledge. While the companions kept The Brigadier/TARDIS occupied, the 'Doctors' tracked down The Doctor, now with his sanity shattered after Rassilon melted down the TARDIS's shell to acquire the TARDIS metals - contaminated with anti-time - so that Zagreus could forge a dagger. It appeared that Zagreus had won, but the 'Doctors' put together what they'd learned, and realised that the Divergents were the race that should have evolved to surpass the Time Lords, before Rassilon 'seeded' the universe to ensure that only beings like the Time Lords would evolve while trapping the Divergents in their own time-looped pocket universe. Until now Rassilon had only been able to keep them trapped, but when The Doctor chose of his own free will to give himself up to anti-Time, he became the very weapon which Rassilon needed. 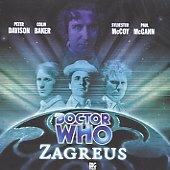 Once all trace of The Doctor's former self was gone, Rassilon intended to send Zagreus into the Divergent timeline to destroy every last one of them with his anti-Time blade. The Doctor tried to resist, refusing to kill for Rassilon as he re-affirmed his identity as The Doctor with the support of the projections, but Rassilon took the blade from him and cut down Townsend, Tepesh and Winkle, crippling The Doctor's resolve once again and leaving only Charley to save the day by stabbing The Doctor before he could succumb to Zagreus once again. Confronted by his past selves in his mind, The Doctor realised - too late - that, in his despair, he'd actually wanted to die for a moment, and thus, regeneration had been averted. However, determined to stop Rassilon using the power of anti-time, The Doctors surrendered to the Zagreus infection, using Zagreus's power over anti-time to cancel out the moment of their death, taking a desperate gamble that paid off; like all god-powerful beings, Zagreus would not be Rassilon's puppet. He cast Rassilon into the Divergent's universe before collapsing himself, leaving the companions powerless to take action to help him. Fortunately, the TARDIS had been reconstituted into its true self after the companions dropped the avatar into the melting pool that had been used to destroy the TARDIS shell, restoring the ship and allowing the now-good TARDIS avatar to provide a 'cure' for the psychological effects of the anti-time infection with a sample of Zero Matter. However, the Zagreus energies still dwelt within The Doctor, so, unknowingly accompanied by Charley, he was forced to exile himself from our universe, as even stepping outside the Foundry or the TARDIS would annihilate history itself. After some time in the Divergent's Universe, The Doctor, Charley, and new companion C'rizz were manipulated from behind the scenes by the Divergents as they searched for the TARDIS; a being called the Kro'ka claimed that this was because the Divergents wanted the TARDIS, but in reality, the Divergents wanted to see what effect The Doctor, a random element in this universe (Where Time is stuck in an endless cycle, thus eliminating temporal coordinates because every moment had already happened) would have on the processes of change and evolution. However, despite his original allegiance to the Divergence, the Kro'ka had subsequently formed an alliance with Rassilon instead, Rassilon seeking to manipulate The Doctor into finding the way out of the Divergent universe so that he could use it himself. To this end, Rassilon managed to isolate Charley and C'rizz from The Doctor with the goal of convincing them to betray him, trying to persuade Charley that The Doctor had abandoned them and threatening to reveal C'rizz's past as an assassin for the Foundation, a religion that believed that death was the route to the next life. Due to C'rizz possessing a chameleonic personality, he was easily swayed into giving Rassilon access to the TARDIS, leaving The Doctor with no other choice but to follow Rassilon through the Foundry, even though, as far as he knew, he was still infected with anti-time, as the only alternative was to be trapped in this universe before the cycle began again and all was annihilated. However, The Doctor soon realised that Rassilon had actually filtered the anti-time energies out of him as soon as he'd entered this universe; Zagreus was now dwelling in the body of a woman called Perfection, who had killed herself to escape her brutal husband, Keep. As Perfection and Keep fought, The Doctor convinced Charley and C'rizz to settle their differences as they left the Divergent universe, Rassilon and the Kro'ka were sent back to the beginning of the cycle - this time with their memories intact - and trapped in an accelerated evolution chamber, leaving Rassilon forced to face the decay of his senses with no means of escape as The Doctor returned to the universe. However, when the Time Lords faced a new Time War against the Daleks ("Dalek"), they were somehow able to rescue Rassilon from the anti-time universe and restore him to a new body, believing that they needed his strength in order to win the War ("The End of Time" and "Engines of War"). As part of his efforts, Rassilon restored and retro-evolved Borusa to become a possibility engine that he kept in the Dark Tower, often consulting Borusa about future strategies that would ensure Time Lord victory in the War as Borusa's access to the Time Vortex allowed him to witness the possible futures of any action Rassilon might take ("Engines of War"). He was also involved in the restoration of The Master to serve as a warrior in the conflict ("The Sound of Drums/Last of the Time Lords"), assigning The Doctor - now regenerated into an incarnation known as 'the War Doctor', his regeneration into this incarnation specifically influenced so that he could serve as a warrior for the Time War ("Night of The Doctor") - to find him after The Master disappeared ("Utopia"). Although Rassilon and the War Doctor formed a tentative alliance as they fought to save the Time Lords from the Daleks, when Rassilon decided to destroy a Dalek fleet gathered around the temporal anomaly known as the Tantalus Eye by detonating a stellar manipulator known as the Tear of Isha, despite knowing that this attack would destroy all life in that part of the galaxy, the War Doctor stole the Tear and Borusa to try and find another way, realising that Rassilon was too set in his ways and caught up in his own arrogance to be trusted as a leader in the War any longer. Although the War Doctor's efforts succeeded in stopping the Daleks without sacrificing innocent lives, Rassilon denounced the War Doctor as an enemy for defying him ("Engines of War"), while his actions prompted the War Doctor to steal the galaxy-destroying Moment and use it to destroy Time Lords and Daleks alike on the last day of the Time War as the Daleks mounted a massive final assault on Gallifrey, Rassilon's actions convincing the War Doctor that both sides in the conflict had gone too far to allow the Time War to continue ("The Day of The Doctor"). Some time after the War had ended, investigating the recent resurrection of The Master and a prophecy that his death would come soon, the Tenth Doctor discovered that Rassilon had conceived a final plan to ensure that the Time Lords survived the War Doctor's use of the Moment on the last day of the Time War. Although unable to escape the War directly due to the time-lock that had been placed on the conflict as a whole, by planting a subconscious signal in The Master's mind when he was a child, The Master's subsequent escape from the war ("Utopia") and resurrection on Earth ("The End of Time") gave the Time Lords a signal from outside the lock that they could lock on to in order to draw Gallifrey back into the universe once the War had ended. Although this would unleash the full fury of the Time War on creation and destroy the universe as it tore the Time Vortex apart, Rassilon had determined that the Time Lords would survive this destruction by ascending to a state of pure consciousness, allowing them to continue even if the universe died, continuing Rassilon's refusal to accept that his people should ever die out even if their survival meant the deaths of others. At the last minute, the Tenth Doctor managed to break the connection that the Time Lords had been using to escape by shooting the white-star diamond that had served as an additional focus point to the signal in The Master's mind, sending Gallifrey back into the Time War, with The Master seemingly sacrificing himself to save The Doctor and punish Rassilon for the torment he had inflicted on The Master for all of his lives. However, it was later revealed that the War Doctor was able to save Gallifrey by working with his past and future selves to freeze it in a single moment of time in a pocket universe ("The Day of The Doctor"), with Rassilon and The Master each surviving the attack by regenerating, Rassilon becoming a much older man while The Master actually regenerated into a woman, the renegade 'Missy' going on to escape Gallifrey. While Rassilon was aware of the Time Lords' decision to save The Doctor's life by giving him a new set of regenerations once his original twelve had been exhausted ("The Time of The Doctor"), he eventually became concerned about a prophecy of a hybrid that would some day rule or destroy Gallifrey, particularly when he learned that The Doctor was apparently the only Time Lord fully aware of the content of this prophecy. With Gallifrey restored to regular time but 'hiding' at the end of the universe, Rassilon set an elaborate trap that involved The Doctor being locked in his confession dial, a Time Lord device that would allow Time Lords to confess their secrets before death, hoping that The Doctor would reveal the secret of the hybrid to escape ("Heaven Sent/Hell Bent"). However, The Doctor was able to devise a complex plan that allowed him to escape the dial on his own, simply waiting for Rassilon in his childhood barn rather than respond to orders to go directly to the President, disgusted at how Rassilon's efforts to capture him had led to the death of The Doctor's companion Clara Oswald ("Face the Raven"). When Rassilon was finally forced to confront The Doctor directly, he attempted to force The Doctor to reveal the secret of the Hybrid, even threatening to shoot The Doctor or use his gauntlet to force The Doctor through his new regeneration cycle until it was exhausted, but the other Time Lords, remembering The Doctor as a war hero and disgusted at the tyrant Rassilon had become, chose to side with The Doctor. Rassilon attempted to protest that he was the true leader of Gallifrey, but as reinforcements came for The Doctor rather than Rassilon, the Time Lord general simply told Rassilon to get off The Doctor's planet, forcing him to depart despite the planet being hidden at the end of the universe with it being unlikely that Rassilon would have anywhere to go. Unfortunately, it was soon revealed that Rassilon had other potential allies even this far in the future, as he was able to make contact with the last of the Cybermen, seeing in them the perfect means to expand Time Lord authority and achieve his revenge against The Doctor. With Rassilon's knowledge allowing them to convert a sizeable portion of Gallifrey, the Cybermen then used Time Lord resources to mount a massive attack on various eras in history. However, as the Twelfth Doctor returned to Gallifrey, he began to remember his past selves facing new Cyber-threats in various eras, prompting him to confront Rassilon directly. Confident of his victory, Rassilon revealed that he was using captured Time Lords by draining their regenerative energy with the goal of literally regenerating the dying universe, but The Doctor realised that the Cybermen intended to take control of Rassilon's plan and 'regenerate' the universe to fit their vision rather than his. Tricking the Cybermen into allowing him and The Doctor to establish a telepathic link, Rassilon worked with The Doctor to use their access to the Time Lords' accumulated regenerative energy to override the Cybermens' control and regenerate the universe themselves, undoing the Cybermen conquest of Gallifrey and the past. Although The Doctor retained his memory of the Cybermen assault even after it had been erased, he expressed uncertainty about whether Rassilon would also remember what had happened, although he mused that it may help to humble Rassilon if he also remembered how his plans for revenge had turned against him.